Albert, or possibly his mate Eva, commands a fine view over Union Bay from a favored lamppost on SR520. Crows hassle him at every opportunity. 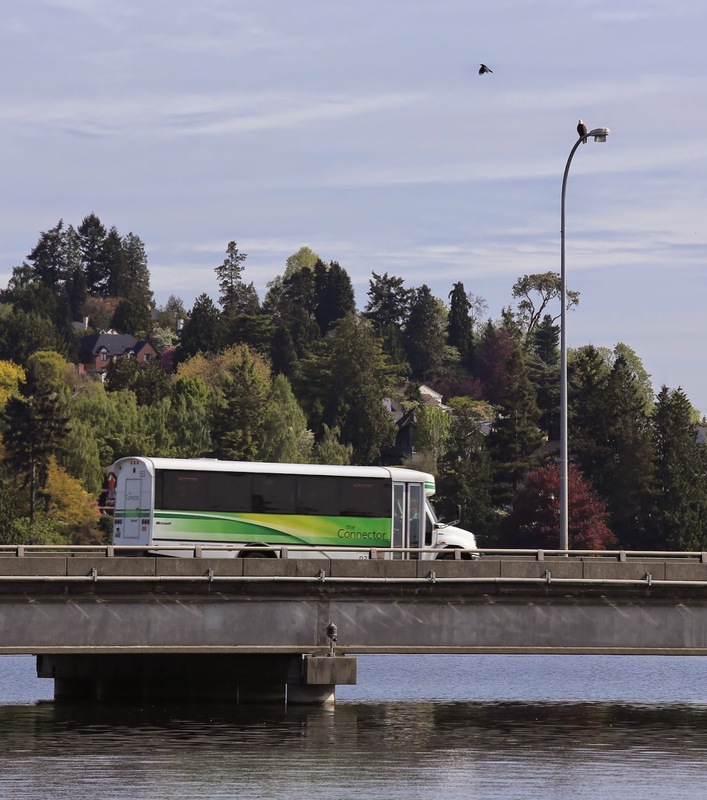 In a different world, but on the same bridge, Microsoft employees cross Lake Washington to get to work. There are incoherent protests against these shuttle buses; apparently some would prefer replacing them with many more single vehicle occupancy cars.